Rick ‘Poppa Dawg’ Halisheff has been a mainstay on the Canadian blues scene for almost 30 years now. Dawg also acted as a side man for a great many blues men including Sonny Rhodes, Kenny ‘Blues Boss’ Wayne, Harpdog Brown and Sherman Doucette. 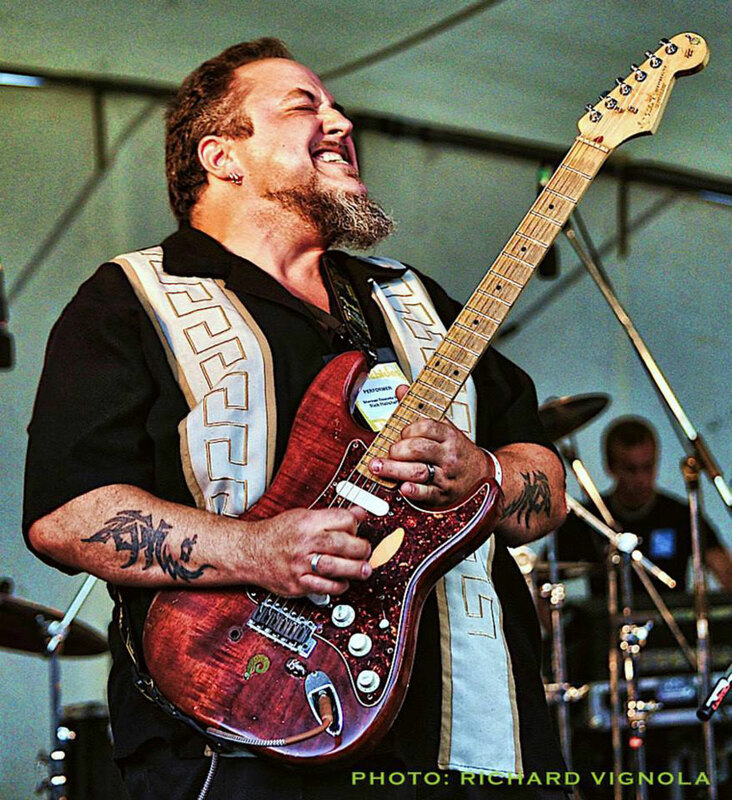 While fronting his own 3pc group, he has opened for or shared the stage with blues greats such as JW Jones, John Mayall, Jimmie Vaughan, Colin James, Jeff Healey, Downchild and many more. In 2013, the band were semi-finalists at the International Blues Challenge in Memphis and won over an entire new audience with their original tunes, re-affirming their faith in the music that means so much to them. His music runs from gritty and soulful to deep and nasty and features the use of Poppa Dawg‘s trademark talkbox. It is still receiving airplay around the world as well as being featured on Saturday Night Blues on CBC, Galaxie and thorughout the US and Europe.